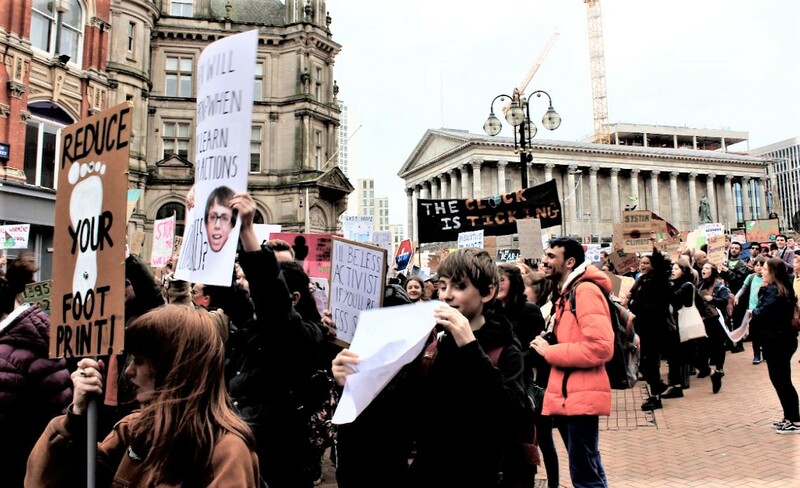 Meet outside Waterstones by the bullring and march up New Street to Victoria Square, where the protest will take place. 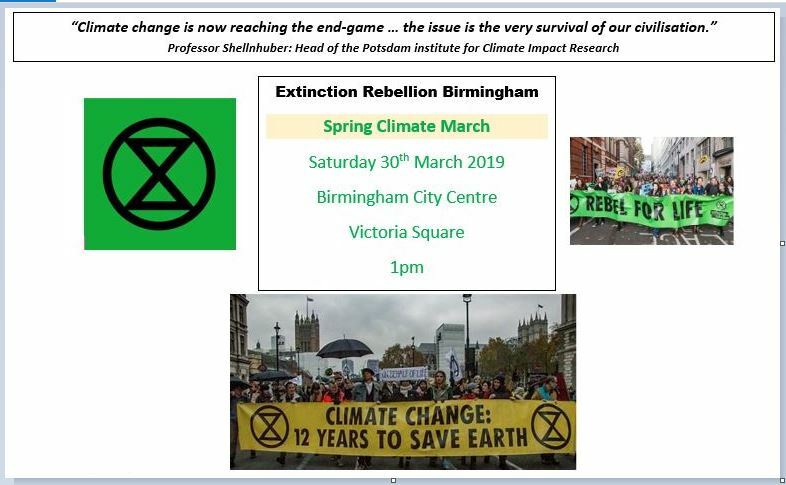 Meet at 12.30pm outside Waterstones or 1pm at Victoria Square. 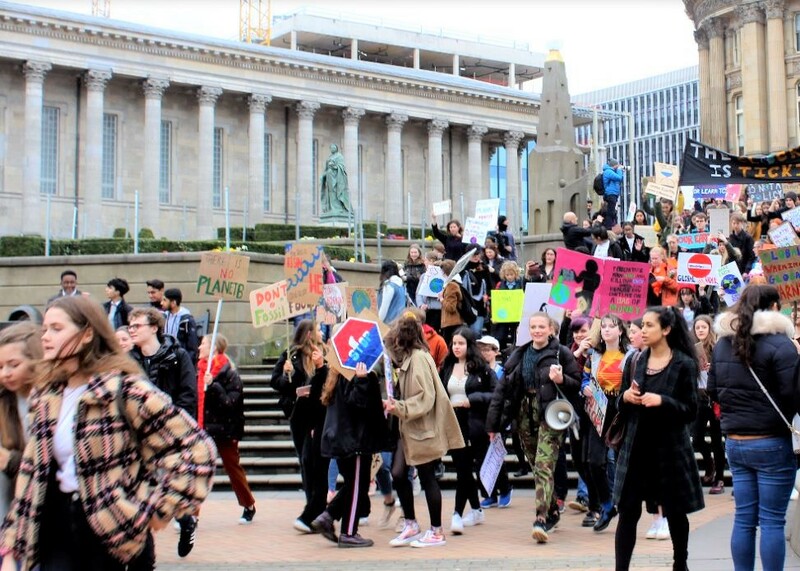 “When we march on Saturday, we want to show Birmingham City Council and the people of Birmingham that we are united as a city and speak with one voice. We want groups from all of our communities to come down, make themselves visible, and make their voices heard”. WMCA trial: a good move, or a token gesture? Research has shown that traffic congestion cost the British economy almost £8 billion last year and that air pollution is ‘emerging’ as a public health issue. Dozens of councils will face legal action after failing to tackle toxic gas from diesels. Yesterday the West Midlands Combined Authority approved a trial which will provide motorists with money – up to £3,000 a year – to be spent on public transport, electric car hire and bike sharing schemes in exchange for giving up their vehicle. 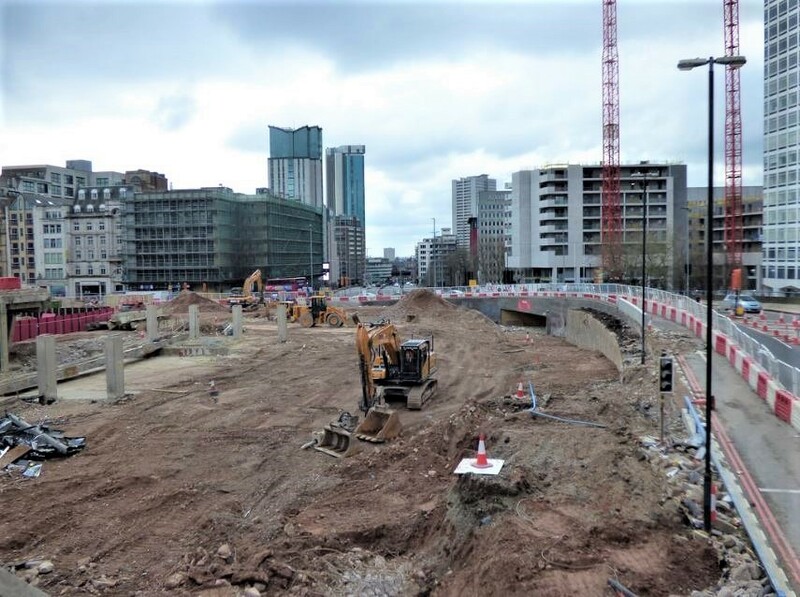 The project will be launched in Coventry this year before being expanded across the West Midlands and elsewhere if it proves successful. 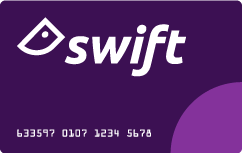 Cash credits will be loaded on to a smartphone app or a Swift card, which is similar to London’s Oyster card but can be spent on public transport, car sharing or green hire schemes. 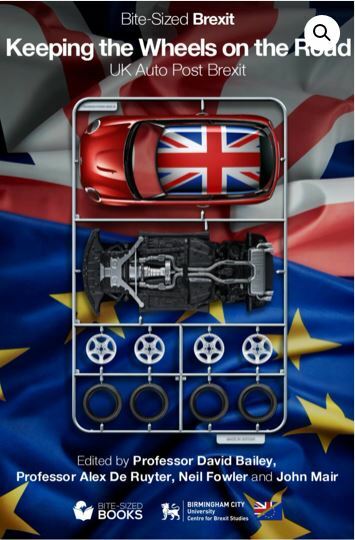 The project will be funded as part of a £20 million government “future mobility” grant but taxpayer support will eventually be replaced by long-term funding from private companies including electric car clubs and bus or train operators. One reader commented that any serious attempt to reduce car usage (congestion and pollution) would involve improving public transport – a far more costly undertaking. Another, who lived in Stuttgart for two years writes, “Car ownership is much higher in Germany, but their owners are willing to leave them at home and use public transport where it’s a better choice. Unfortunately, in the UK our public transport outside London is not integrated, generally not frequent and not cheap – and this would take decades of investment to put right. 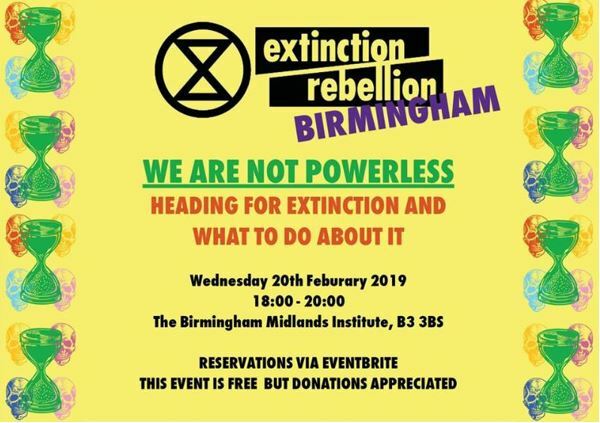 As our first public event, Extinction Rebellion West Midlands will be holding a talk entitled: ‘Heading for extinction and what to do about it’. The talk will outline the issues surrounding climate change and biodiversity loss, and how we can use our feelings of despair constructively to overwrite the cycle of ignorance and inactivity present in the policy making sphere. “By combining your determination and our experience, we can build a movement big enough to overthrow the life-denying system that has brought us to the brink of disaster – and beyond. Together, we must demand a different way, a life-giving system that defends the natural world on which we all depend. A system that honours you, our children, and values equally the lives of those who are not born. “Together, we will build a movement that must – and will – become irresistible”. Voluntary contributions are gratefully accepted on the door to help cover room hire costs. A discussion of this question will opened by Christine Parkinson, author of Three Generations Left: human activity and the destruction of the planet. 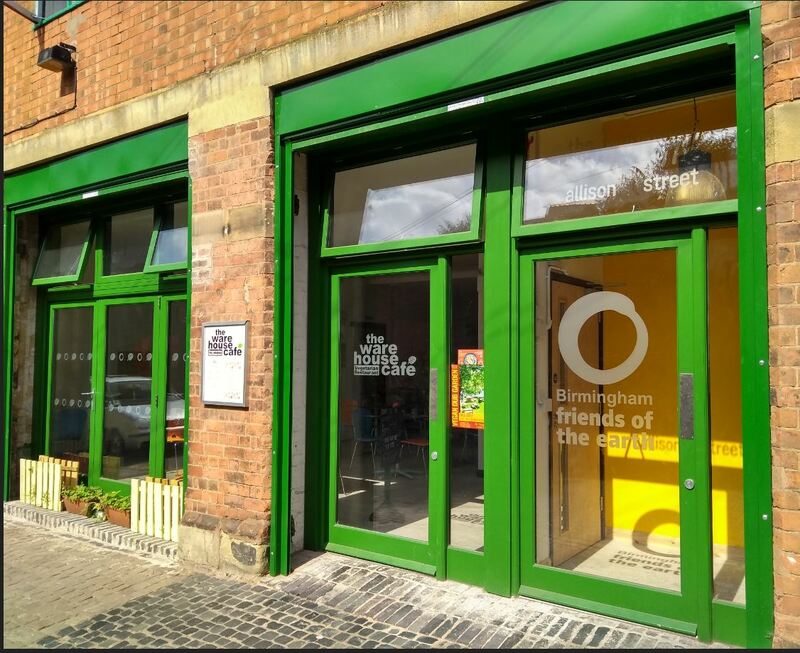 Community Energy Birmingham co-operatives offer shares in order to fund the installation of solar photovoltaic arrays on community buildings in Moseley and Small Heath, Birmingham – see a 2015 post. 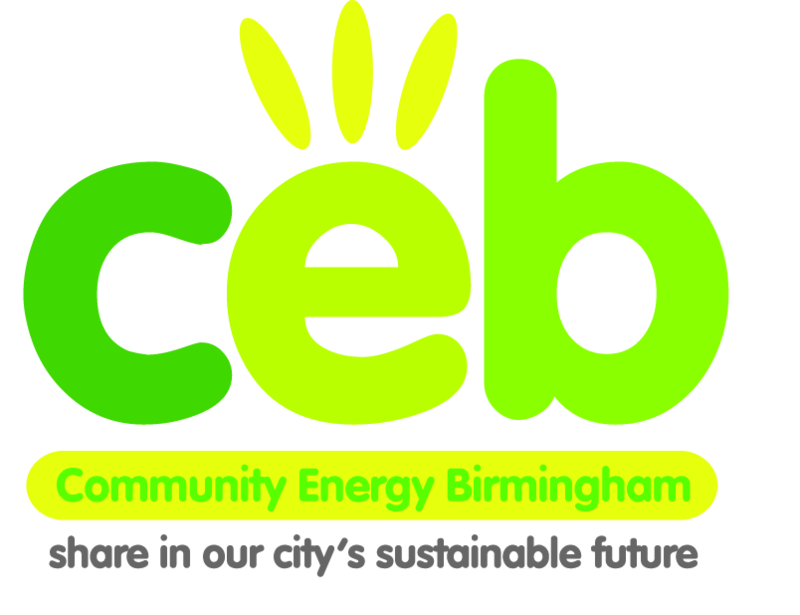 Community Energy Birmingham (CEB) has some exciting news! 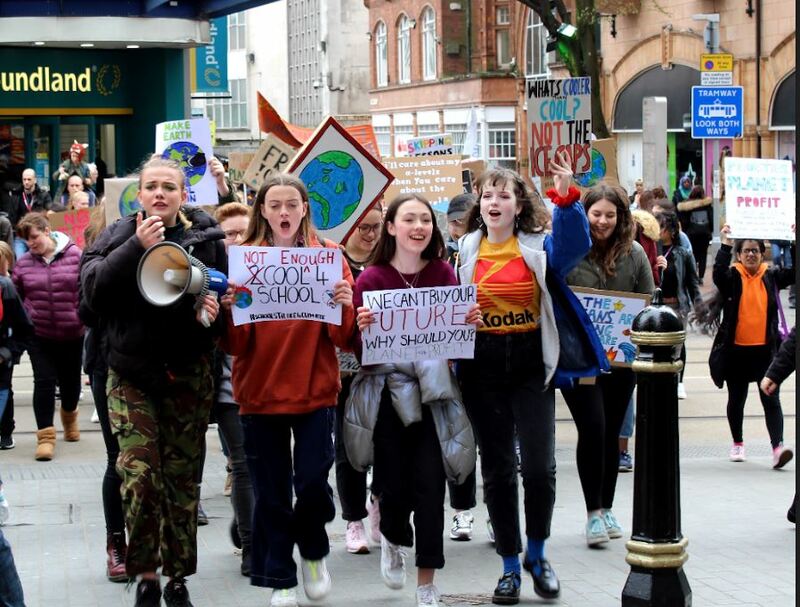 “We’re looking to grow our existing portfolio of renewable energy generation on community energy buildings in Birmingham, and have just launched a new share offer in November 2018. Our plan is to put a large solar roof (163 panels) on the housing association building in the centre of Castle Vale. This will be our largest solar roof to date, with a peak capacity of 50 kW. The total investment opportunity is around £44,000. We have already raised several thousand pounds”. CEB aims to do this before the Feed in Tariff scheme closes in early 2019. CEB has already installed 6 solar PV on roofs belonging to community buildings where the organisations receive the benefit of clean and reduced cost electricity. One example of its work is the installation of another 10 kilowatts of solar panels on the main roof of the Moseley Exchange building, joining the 8.5 kw on the sloping roof to the rear. The new panels cannot be seen, since they lie flat behind the parapet of this historic old Post Office building in the centre of Moseley. 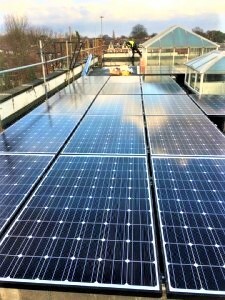 Since the building is in use almost every day, the solar energy will be consumed within the building, which is used by many Moseley community groups. Shares are from £250 to £10,000. CEB prefers investment from people living in or near Birmingham. The new Share offer closes on 31 Dec 2018, but they would love to hear right away if you want to know more. Full details are available in their Share Offer document and for those seeking shares, an Application Form may be filled out and returned. The Zero Waste Economy: Is it possible? Hazel Clawley shares with the group the main themes of Paul Connett’s book The Zero Waste Solution as an opening to a group discussion on reasons for the successes and failures of the international Zero Waste movement. The aim is to steer the discussion away from the individualistic approach (what one dedicated ‘greenie’ can do to slim down her/his ‘residuals’ – the non-reusable, non-recyclable bin contents – admirable though these pioneers are), and towards ways in which whole communities are being drawn in to the ZW solution in some unlikely parts of the world e.g. Sicily. 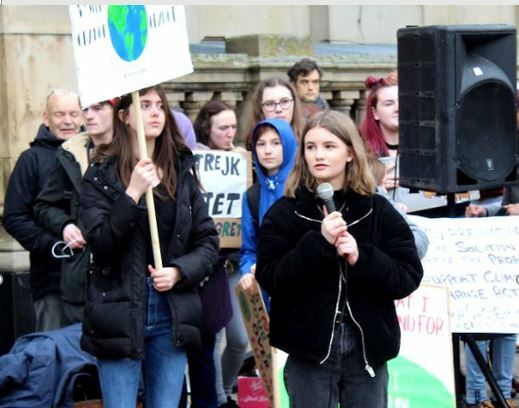 A previous WMNEG session (by Jane Green) showed how the drive towards incineration in the West Midlands stymies the ZW approach here (as in so many places) – so is there any hope for a Zero Waste West Midlands? Contributions of £2 to cover the cost of room hire. 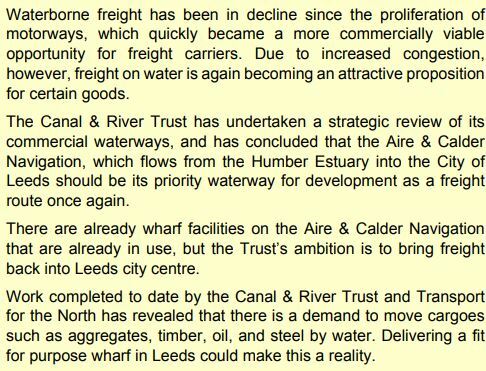 Following the recent news of CRT plans to facilitate a water taxi service from Icknield Port, the Canal & River Trust is working with Transport for the North on the potential of waterway freight. Following a recommendation from its Investment Committee, Leeds City Council has approved the West Yorkshire Combined Authority’s planning application for a new, £3.37 million wharf facility at Stourton in Leeds. The Canal & River Trust, in partnership with the Freight Transport Association and the NSR Interreg Project IWTS2.00, will be hosting this conference, which will bring together port operators, freight carriers, logistics specialists and public bodies, and will provide a unique opportunity to look closely at the potential of Inland Waterway Freight Transport in the UK and Europe. The conference will provide the opportunity to also learn about current policy and infrastructure developments that are making inland waterway freight transportation a realistic option for today and the future.